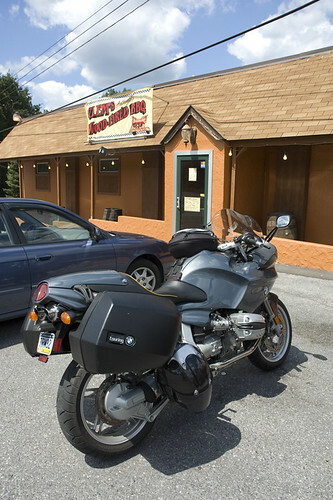 I left Harrisburg around 7am this morning for a motorcycle ride to western Pennsylvania. I met up with my friend Daneen and we headed west towards Bedford. Then we took route 99 north. After stopping for gas for the second time and after around 180 miles, I used Urbanspoon on my trusty iPhone to locate a place for lunch. Clem’s showed up and was only about 5 miles away. I could smell the BBQ as we pulled up. Dismounting from the bikes I could see the cook beside the building piling some wood on the fire as the flames grew. Time to go inside and see what this place is all about. The female employees meet the upmost standards! It didn’t hurt that she leaned over towards me revealing her, umm… yeah… as she rang up our order. But on to the food! 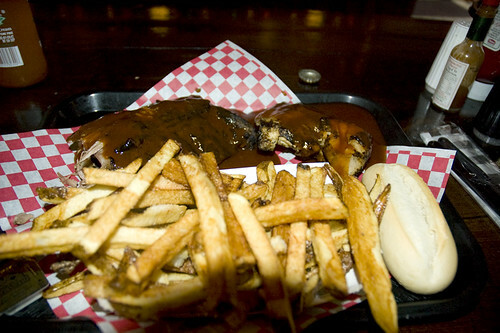 Ribs, chicken, fresh cut fries, a roll, and Jones soda. As an added bonus, they have vinegar on the table. Fresh cut fries with vinegar! I couldn’t finish my meal so I packed up the rest and placed it in my side case for later. I will definitely make the trip back out here for BBQ. 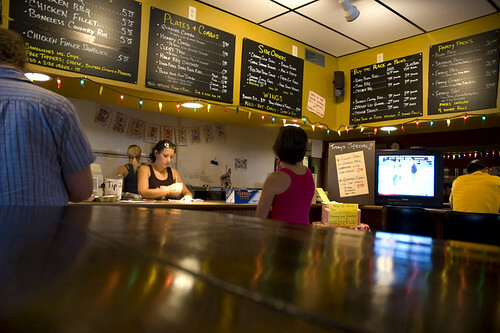 My latest project was to photograph The Gas Station, a gastro-pub in Hummelstown, Pennsylvania. The client wanted both interior shots and food shots for multiple uses. View a sample of these shots on my Flickr Gas Station set. 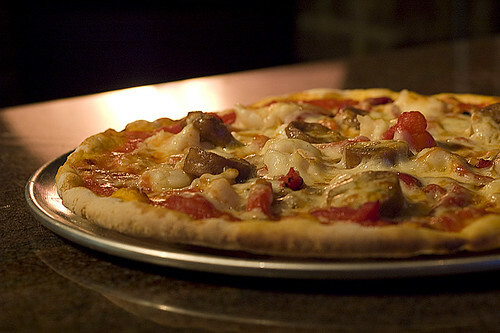 Check out their web site or pay them a visit and try out their food. On Saturday I met up with a few members of the Dutch Country Riders at 9am at the rest stop on I81 north of Harrisburg, PA. We were riding to Alpha, New Jersey to have lunch at Charlie’s Pool Room. 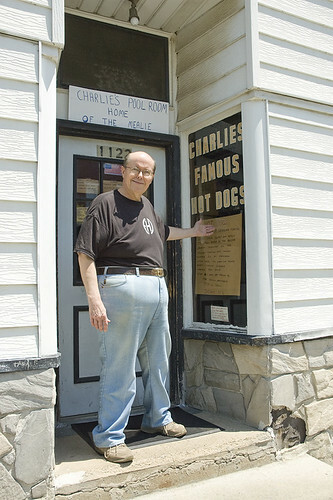 Charlie’s Pool Room is known for it’s famous hot dogs which have been cooked in a small skillet in their kitchen the same way for probably 50 years. Who would ride 3 hours and 100 miles for such a lunch? We would. Charlie’s Pool Room would be easy to miss. It looks just like the other houses on this block in Alpha, New Jersey. 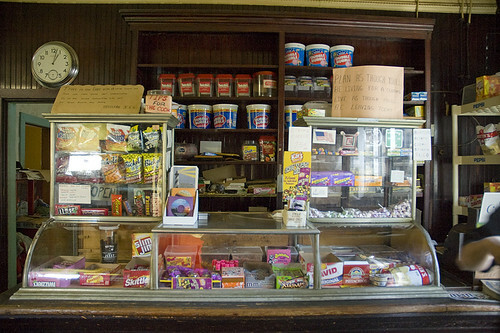 Once stepping inside you see the old counter that looks like it hasn’t changed in 50 years. Sodas are purchased in a soda machine and ice cream is available in an old cooler. 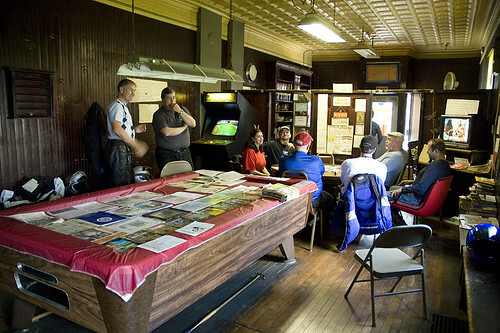 There’s just one round table in the back to sit down and enjoy your meal beside the one lonely pool table. This place has charm. 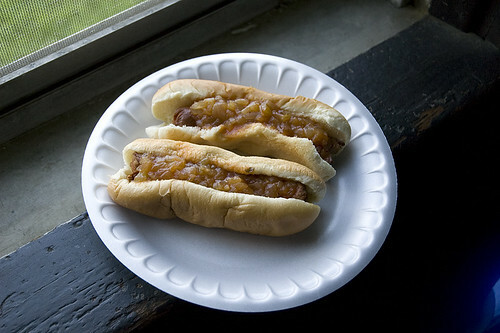 My lunch consisted of two ht dogs with sauce. 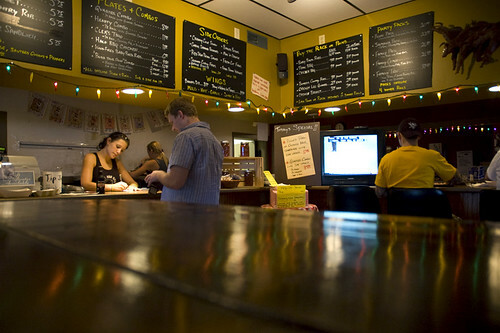 The sauce is a sweet onion sauce and the recipe is only known by one of the two brother’s who owns the establishment. 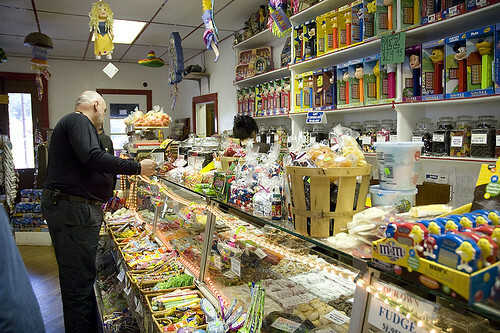 On the way back we stopped at the Peanut Shop in Port Clinton, PA. 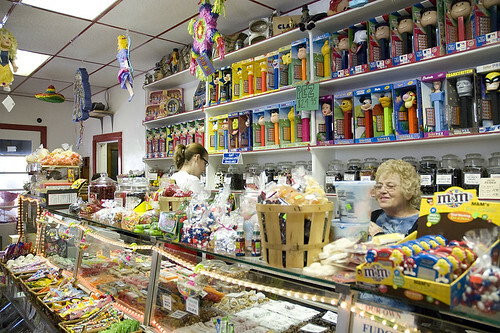 The candy in this store was amazing! They had anything you could imagine. I stocked up with some butter roasted peanuts while others bought licorice (which was the best I’ve ever had) and other assorted candies. Hermy’s BMW is just a few hundred feet down the road from this store. I need to return!